Hours before 1965 Indo-Pak war was declared over, four war prisoners were brought handcuffed to Jammu. Bagga Khan, Alam Sabbir, Sakhi Muhammad and Syed Muhammad from Pakistan-administrated Kashmir were detained in Poonch sector during an attempt by Pakistani army to land paratroopers there. The prisoners expected a brief jail stint, but ended up spending almost their lives in different Jammu jails before an advocate in 2012 pled their cases — not before 46 years had passed by. Their pleader was the person playing many roles—politician, globetrotter, peace activist, scribe, and an advocate. The man was Bhim Singh, who filed a petition in Supreme Court on affidavits filed by their close relatives. Later the apex court issued notice to both Delhi and Srinagar rulers asking them to produce these war prisoners before the court. Singh ended up doing unthinkable – raising hopes in the hopeless. The lady was charged under section 14 of ‘Jammu and Kashmir’, Foreigners Act – for not having a passport, visa. Singh contested the charges arguing, there exists no J&K Foreigners Act. The charge framed by state government is highly objectionable, he concluded. “Her trial is vitiated, having no constitutional basis to uphold her conviction.” Only Singh could make such dramatic disclosures in the case—thereby, triggering judicial hopes for the lady. But that’s something—pleading for justice, Singh, 79, has been doing throughout his 55-year-old public life. He is mostly known for his pleading for prisoners detained improperly, illegally or unconstitutionally in many Indian jails. Singh is the descendant of Zorawar Singh—the legendary army general of Gulab Singh who “conquered Ladakh”. He was born in August 1937 at Ramnagar’s Bhugterian (backward) village. As a student in 1953, Singh left then PM Sheikh Abdullah red-faced inside his school in Ramnagar. Singh, then Class 6 student, threw a Ladoo on Abdullah’s face during sweet distribution and ended up facing the first prison of his life. Behind his rage was a simmering sense running deep in his landlord family against Abdullah’s land reforms, costing them dear. This was the reason, he says, his father— a Second World War-II veteran—was seen rallying behind anti-Abdullah Praja Parishad movement in Jammu those days with Prem Nath Dogra. Later Singh went to Delhi appealing PM Indira Gandhi who set up an inquiry into the matter headed by Pranab Mukherjee. The enquiry indicted several police officials for the student killings during the agitation. By 1969, Jammu University was established. Though he passed most of his exams behind the bars, Singh had his LL.B from Aligarh Muslim University in 1966 before completing his LL.M from London University with specialisation in Constitutional and International Law. He was later conferred doctorate in International Law by a Palestinian University. Prof Singh during pro-Arafat march. Singh soon left India on his global “peace mission”. He managed to visit over 120 countries. In 1970, he was the first person to cross the Sahara Desert on motorcycle. As word of his “peace mission” spread, he received a rousing reception in many countries. In Chile he was personally received by its then President Salvador Allende. 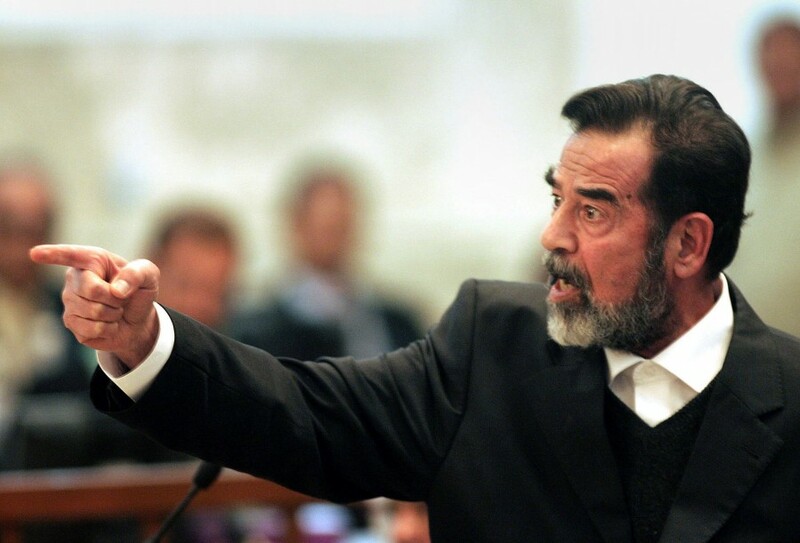 In Middle East, he met Yasser Arafat and shortly became his vocal supporter. 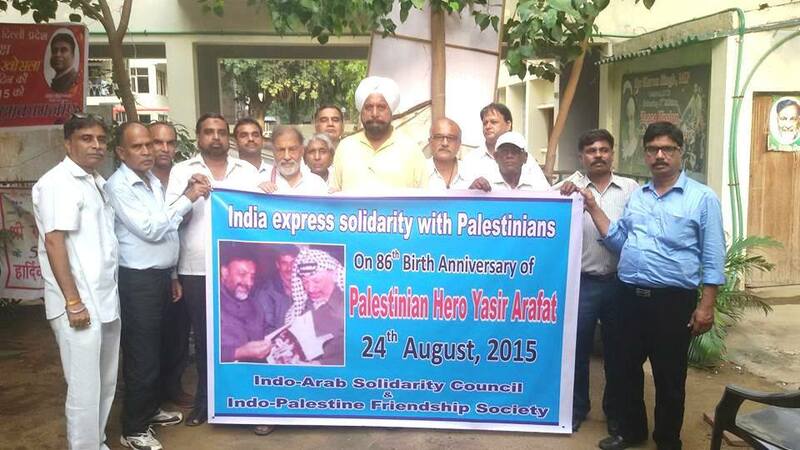 Singh, head of Indo-Palestine Friendship Society, travelled to Syria in support of Arafat in 1973. He joined Arafat-led PLO (Palestine Liberation Organization) over the dispute of Golan Heights between Israel and Syria (during the Yom Kippur War). His friendship with the leader of Fatah continued till Arafat’s death on November 11, 2004. By 1973, Singh was appointed by Indira Gandhi as J&K youth Congress head. He eventually rose to become Congress’ general secretary. But the moment Sheikh Abdullah became J&K’s CM, Singh headed Poonch agitation and became the first politician to be booked under Public Safety Act. He was detained in Srinagar’s Central Jail in 1978, where –“for speaking out against Sheikh Abdullah”, he was almost “poisoned” to death. Singh shortly left Congress to found his own political party, J&K National Panther’s Party (JKNPP). Being a two-time state lawmaker, Singh also contested for union berth seven times, fighting poll battles with Congress’ Rajiv Gandhi (in Amethi) and BJP’s LK Advani (in New Delhi). One of the major highlights of his political career came on August 17, 1985 when he was suspended from J&K assembly. As he took the matter to J&K High Court, he landed in prison. During his detention, he says, several attempts were made on his life by state agencies, police. Then, his wife got involved, who took the issue back to courtroom. What ensued not only proved Singh innocent, but also became Supreme Court’s landmark judgement. Later he walked out of jail with a fractured leg. By 1988, Singh was sitting on hunger strike against “poll rigging preventing him from joining Indian Parliament” in front of the election commission offices. He was joined by Atal Behari Vajpayee. Finally, J&K High Court ruled in his favour, stating that he did win the Lok Sabha by-election from Udhampur—a seat once held by his fellow Dogra clansman Dr Karan Singh. But more than a politician, Singh created a name as a lawyer. By aiding thousands of helpless prisoners, farmers and youth across the border, Singh won many landmark cases in Supreme Court of India. Most of these cases were won through writs. He secured release of several foreign prisoners—some of whom had been held in Indian jails for decades. For his dogged advocacy, Chief Justice PN Bhagwati (17th Chief Justice of India from July 12, 1985 – December 20, 1986) described him “crusader for truth and justice”. Singh initiated Public Interest Litigation (PIL) process in J&K against state’s “oppression” on the weaker sections. Besides providing free legal aid to inmates mostly languished in Punjab and J&K jails, he fought courtroom battles for several separatists including Syed Ali Geelani, Abdul Gani Lone, Shabir Shah and Abdul Gani Bhat, he says. But mostly, Singh attained distinction for releasing hundreds of Pak prisoners. In 2014, he managed to release 15 Pak prisoners while seeking release of total 38 foreign prisoners in Indian jails. Among the detainees was an Iranian prisoner, Abdul Sharief, lodged in Amritsar Central Jail illegally since 1995. Based on his writ petition no.310/2005, SC bench passed highly revolutionary order, directing all the Sessions Judges to visit their nearest prisons to examine, record the plight of prisoners. “That order will benefit nearly four lakh prisoners (60% of whom belong to poor families) languished in different Indian jails,” Singh says. Among the prisoners, he says, 25 prisoners are mentally challenged (five of them, deaf and dumb) languishing in Amritsar jails for years. Being a top member in Joint Defence Committee of India and Pakistan—the body looking after the cases of the Indian prisoners in Pakistan jails, Singh has already repatriated 450 Pakistani prisoners. He has also secured the release order of 150 Kashmiri prisoners, including Bita Karate. 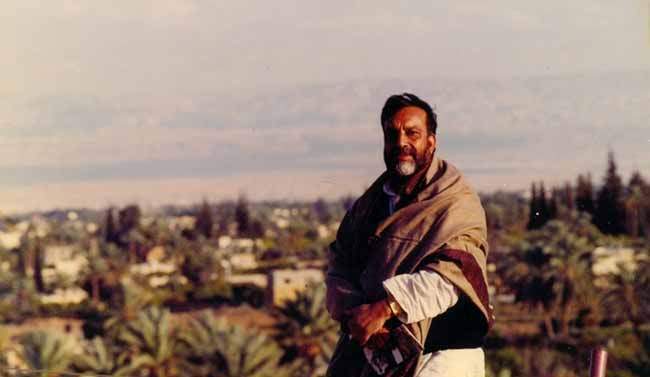 Prof Singh received Katare’s letter in 1999. The letter came from Agra Jail, where Karate was detained under PSA. Singh hurriedly filed a writ petition on that Urdu letter, still safe in his possession. Subsequently, on Singh’s successive writs, SC ordered the Terrorist and Disruption Activities Prevention Act (TADA) court to release Karate in 2006. The judgement apparently cut a villainous figure out of Singh in displeased pandit community. For his role in prisoners’ release, Singh was honoured by Pakistan Supreme Court Bar association in summer 2014. But his courtroom battles are still far from over in the face of “countless illegal youth detentions”. Lately, he asserts, he is being made target for his Supreme Court sensational stints. In 2015, when Modi government threw him out of Delhi’s VP House after 23 years, the disgruntled Singh termed it a politically motivated punitive action for his fight for the civil rights of Pakistani prisoners. His legal fights apart, Singh’s media image is equally well-known. Since 1975, he has been running news weekly besides contributing write-ups to many Delhi-based and global publications. Singh has also made films on The Gulf War, Palestine, Jerusalem, Return of Doda Migrants, Babri-Masjid, and many other topics. He also has many high-profile interviews to his name, including that of Dr Boutros Boutros Ghali (UN Secretary General), Yasir Arafat, Elias Harawi, Benjamin Netanyahu, Indira Gandhi, Abdul Gafar Khan and Saddam Hussein. Earlier Singh was engaged by former Yugoslavian president Slobodan Milosevic in UN criminal court in The Hague. “But,” he says, “I wasn’t allowed to argue in the court.” And when Supreme Court of Pakistan (on April 26, 2012) ousted then Pak PM Syed Yousuf Raza Gilani, Singh shot a letter to Pakistan, offering him free legal aid. He also challenged “illegal, improper, constitutional and mala-fide detention of Anna Hazare and his team” in SC in recent past. But his activism and advocacy aside, his political beliefs have always failed him to win audience in Kashmir—even after describing NC, Congress as Kashmiris’ “tormentors” (besides “Karbala ke katil”). Singh’s decadal lobbyism for an amendment to Article 370 for integrating J&K to India makes him a ‘loathsome figure’ in valley. His advocacy for J&K’s tri-partition and Dogra Raj for Jammu further make him ‘fiend’ than ‘friend’ to Kashmir. But that hardly ever stopped him playing “behind the curtain roles”, many reckon. Possibly, the same sense surfaced during his recent book launch where former Home Sectary, K Padmanabhaiah, recalled Singh’s contributions to “reinstate the democratic process” in Kashmir during 1996 assembly elections after a gap of nine years. Perhaps the assertion accidently tumbled skeletons from Singh’s political cupboard. With this ‘dubious image’—as he stepped inside Srinagar’s Partap Park in 2015 fall to show solidarity with those whose sons are nowhere to be seen, he only managed to stir up a temperamental storm for himself. He shortly walked out of the battered park quietly, perhaps realising the worth of his K-stand.